A former practising barrister, associate professor and designer of the Bar Professional Training Course, Nigel Waddington is a Senior Lecturer in civil practice at the City Law School, University of London. 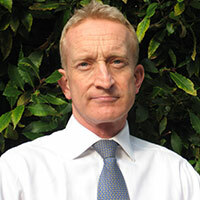 Nigel gained his MSc degree from the University of Surrey, and spent several years carrying out clinical research into the development of heart drugs. He studied law at the University of Birmingham and practised at the chambers of John Cherry QC at 8, Stone Buildings (now Lamb Chambers, Temple, where he is a door tenant). In a busy practice, Nigel gained extensive experience in both criminal and civil courts, eventually specialising in personal injury litigation, exploiting his training in the biological sciences. In a diverse range of other work, Nigel has led workshops in the Balkans to develop post-conflict internship programs. In his work for the American Bar Association he has trained lawyers from Bosnia, Serbia and Kosovo. He has supplied consultancy services to the Chartered Institute of Patent Attorneys and to the Patent Examination Board in its development of professional qualifications for patent attorneys. As an IATC-accredited advocacy trainer he has worked as an external assessor for Norton Rose Fulbright LLP on its in-house advocacy program. He is a visiting lecturer at Goldsmith's College, Morley College, and Fellow of the Higher Education Academy.